Can you believe it is almost Christmas? I know, it’s crazy. And by crazy, I also mean crazy, busy. If you’re a busy mom and/or dad like me, you know exactly what I mean. With all the holiday parties and gatherings, cooking and baking, Christmas shopping, gift wrapping, and… I’m exhausted just talking about it. I am so thankful for brands like today’s sponsor for recognizing what busy lives we have and providing a service that makes our lives easier, like the online Walmart Grocery Pickup service. 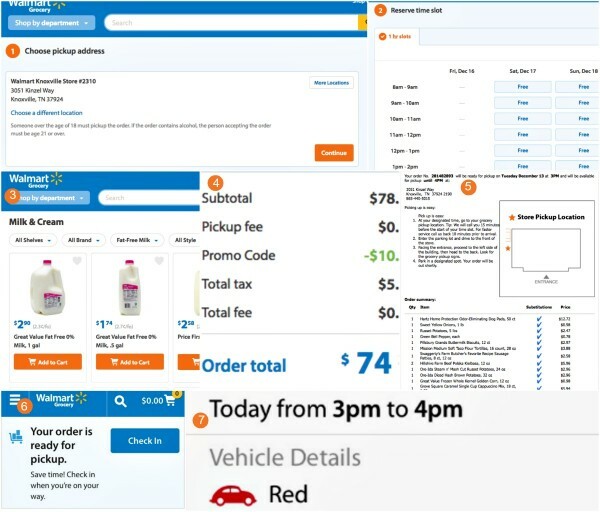 I recently tried out the Walmart Grocery Pickup service. Can you say, game changer? It has rocked my world! As I mentioned above, I am a very busy mom. 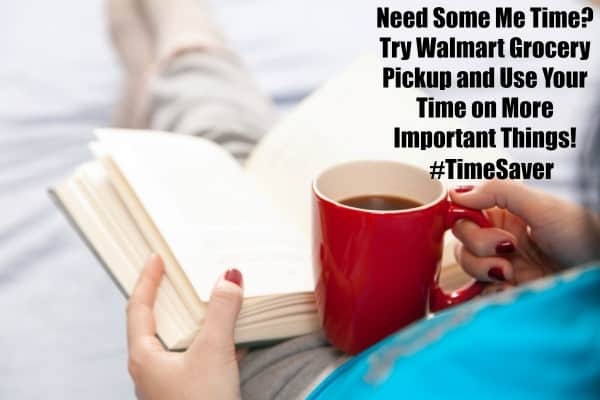 Between my work, family, extracurricular activities, and of course the holidays, I have absolutely no time for “me.” With the Walmart Grocery Pickup service, you can save time to do the other things you need to do. Or, maybe take some me time. So while Walmart is doing my shopping, I can catch up on some reading. I hate having to go shopping when the weather is bad, especially when it is raining or really cold. I can use Walmart Grocery Pickup and stay in my car while Walmart does my shopping and loads my groceries into my car for me. Some of you may remember when I cracked my ribs two years ago. It was so painful, and if you don’t know, there’s really nothing they can do about cracked (or broken, for that matter) ribs. Life goes on, so I still had to do what needed to be done, even grocery shopping. How many times have you had a headache or a cold, or worse? 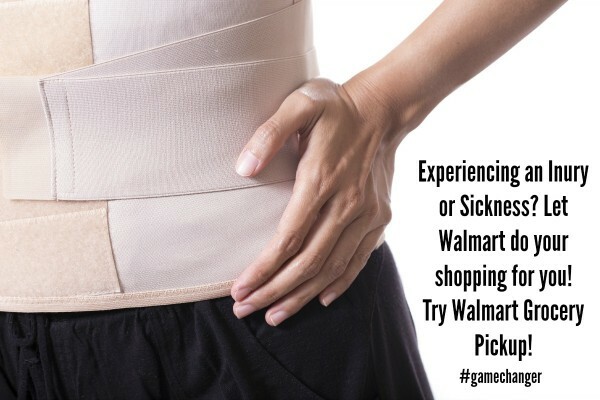 Another great reason for Walmart Grocery Pickup is to not have to grocery shop when you are feeling under the weather or dealing with an injury. I only have one child, but there were many times when he was a baby that I wished I didn’t have to take him grocery shopping with me. I can only imagine if you have several kids in tow. Walmart Grocery Pickup is a sanity saver. You won’t need to drag you kids to the grocery store with you. Just plain hate grocery shopping? Those that know me well know how much I hate grocery shopping. I don’t know why, but I do. I love to shop for clothes, jewelry, makeup, and enjoy going to Walmart to shop for certain things, especially gift items, but I truly hate grocery shopping. Which is funny since I love eating so much. For years I’ve said I wish I could have my very own personal grocery shopper. My wish has been granted! Thanks to the Walmart Grocery Pickup service, I now have MY. Very. Own. Grocery Shopper. Thank you Walmart for granting my wish. I cannot express my gratitude enough. 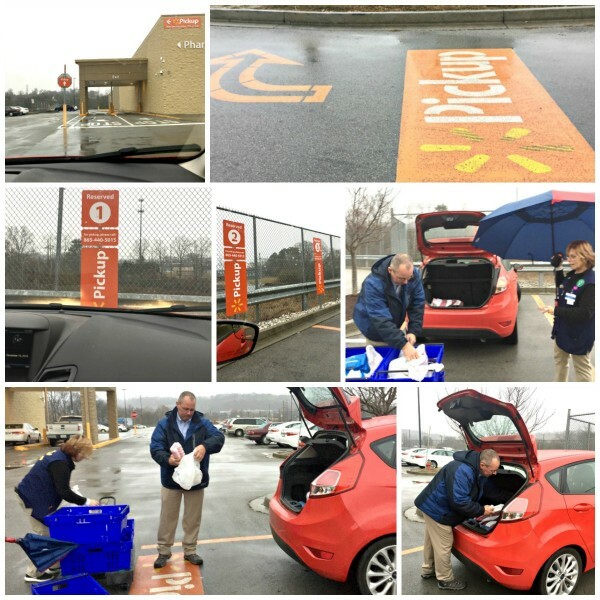 Now that you have five great reasons to use Walmart Grocery Pickup… Let me show you how easy it is to use. Choose your store for pickup. Reserve your day and time. Place your order (select your grocery items). There is a $30 minimum order. Right now they have Holiday extras like holiday decor (lights and stockings), and even Christmas trees and everything you need to make/bake cookies for your cookie exchanges this holiday season. Plus everything you need to make your Christmas dinner. Get your order total. If it is your first time ordering, you can use Promo Code: for $10 off your order. You’ll get an email with instructions on where and how to pick up your order. 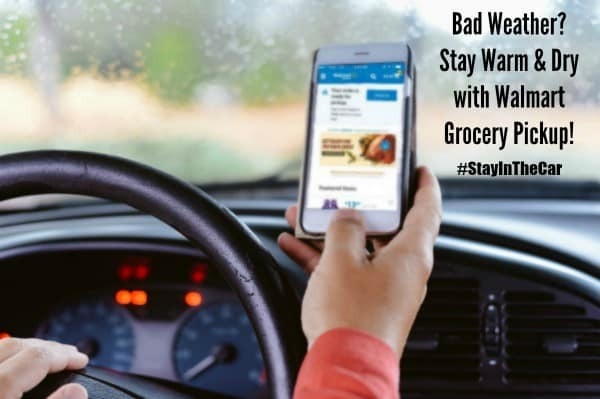 After downloading the Walmart Grocery app – iOS users: download the “Walmart Grocery” app; Android users: download the “Walmart Grocery Check-in” app (Note: you will need to enable notifications and location services). You’ll get a message telling you your order is ready for pickup 15 minutes before your designated time. I chose 3:00 – 4:00 pm and received my message at 2:45. When you are on your way or about 10 minutes away you will check in where you will give the color of your vehicle to help them to identify you. Pulling into Walmart, they had the pickup area clearly marked. It was very easy to find. I pulled into the first spot, and two Walmart employees were just finishing up with another Grocery Pickup customer. They came over and asked my name, and within 3 minutes they were back out loading my groceries. It was raining and had it not been for the fact that I wanted to take pictures to show y’all, I would have stayed in my car, warm and dry. I found every step from start to finish, easy. It really could not have been any easier. 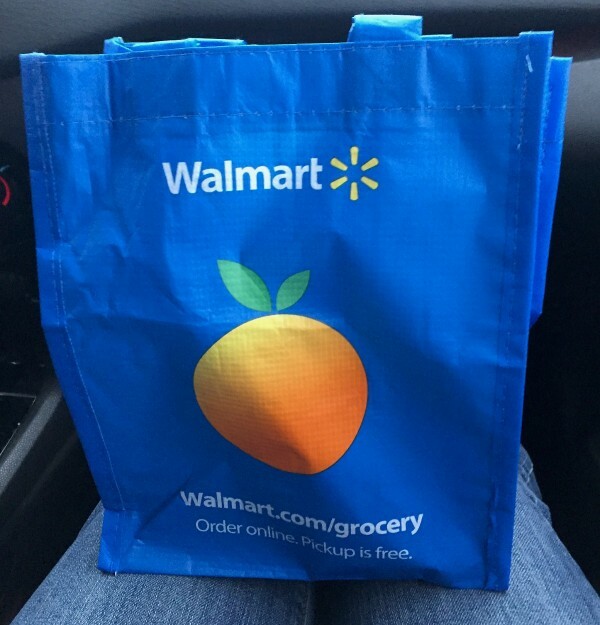 If you have a Walmart near you that does grocery pickup, I cannot recommend it more. It was a great experience. Since it was my first time trying the service, they gave me a goodie bag filled with healthy snacks and bottled water. Who doesn’t love a gift? It’s FREE. No service fees and the same Every Day Low Prices you find in the stores. Can you relate to any of the 5 reasons above? 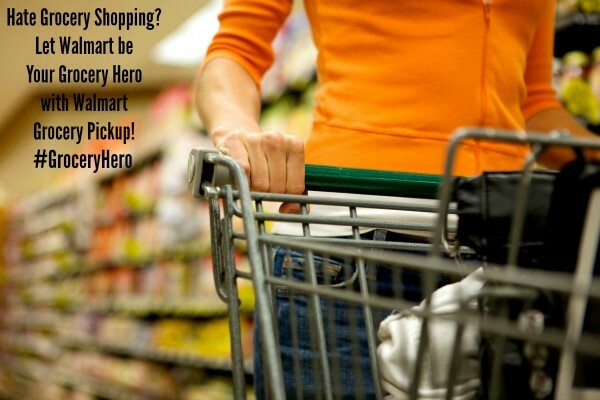 Are you ready to become a #groceryhero like me? 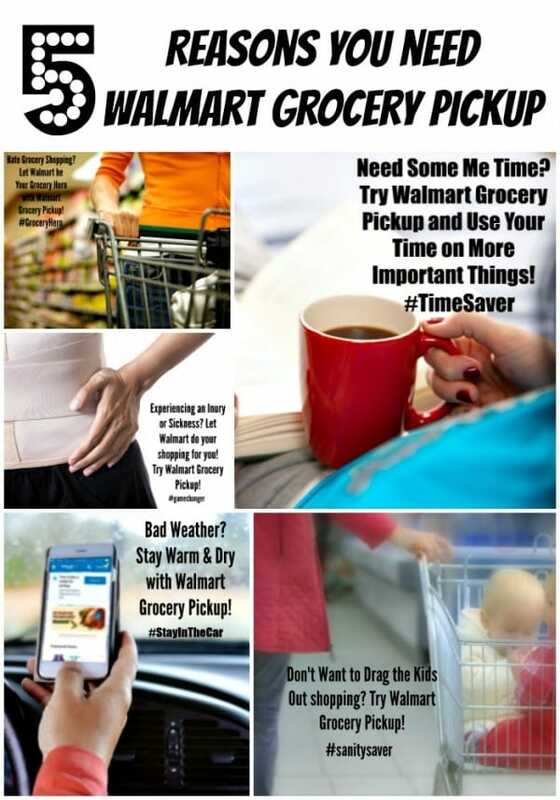 Check it out and try Walmart Grocery Pickup today! They still don’t have it in my area but I shop here several times a week and disabled. It would be so nice to have this ability to use the service! Did you tip the workers? Sounds wonderful. Will try it soon.